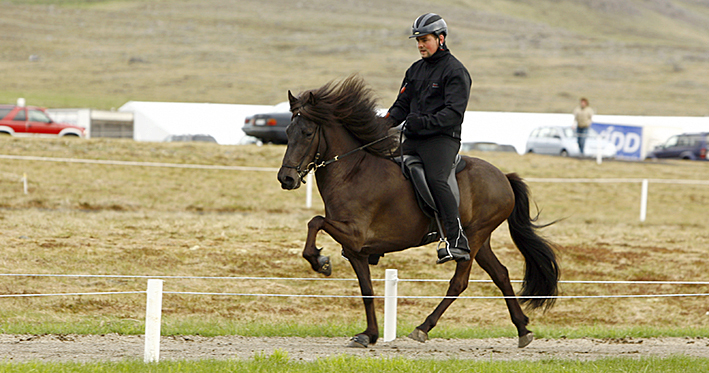 Jónína is one of Fet’s flagships. She’s a daugther of Roði frá Múla and Vofa frá Engihlíð, who was a daughter of Adam frá Meðalfelli. 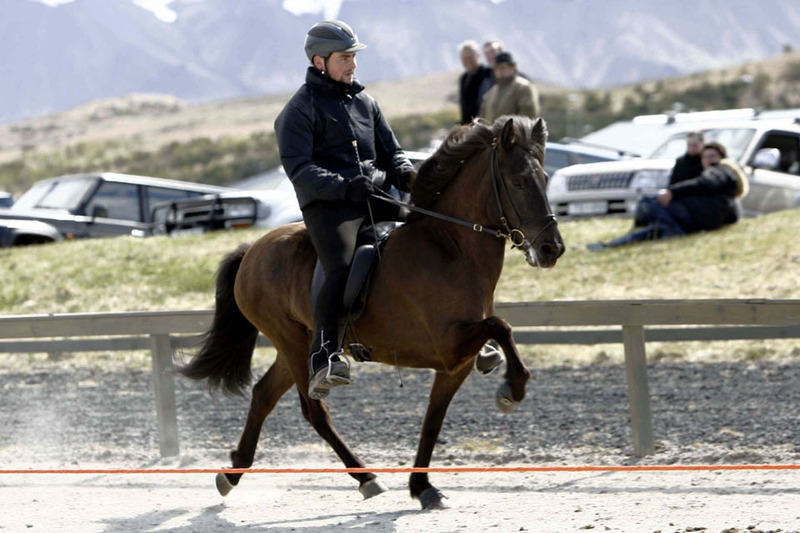 Jónína was evaluated 4 years old and she received 1. prize right away, 8.25 for ridden abilities, among 9 for tölt. 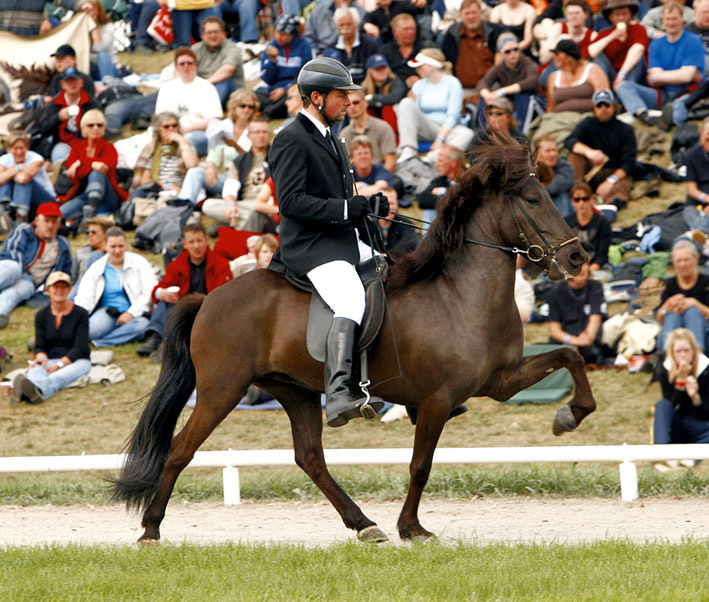 Later that summer she was the highest judged 4 year old mare at Landsmót 2006. 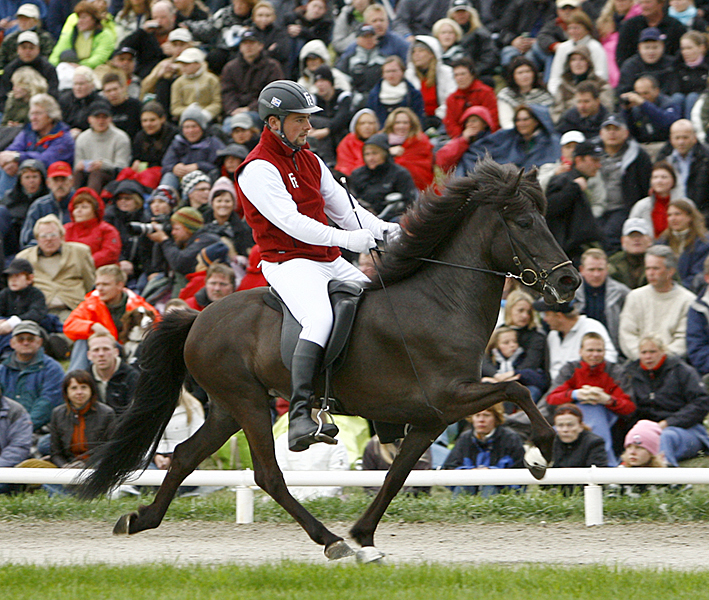 She went to a breeding assessment as a 5 year old as well and received 8.53 for ridden abilities, amont 9.5 for tölt. 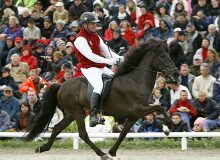 She was again breeding evaluated when she was 7 years old and raised her marks again, to 8.68 for ridden abilities. 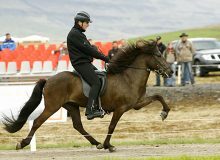 She was therefor the highest judged 4-gaited Icelandic mare in the world. 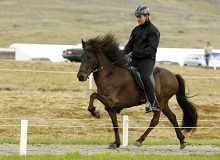 Jónína has also a good score from the competition track, but she was in the finals at Iceland’s championships in 2008, then only 6 years old. The first of Jónína’s offsprings have started their training and we think they are really promising. 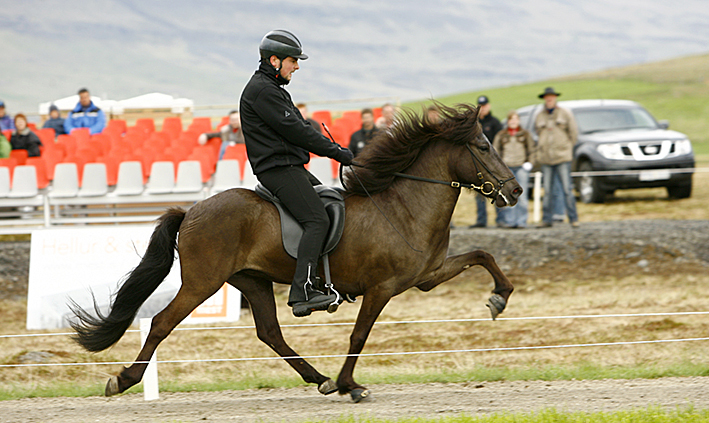 Jónína is widely known for her great charisma, leg action and elegance.